Here is the most recent news about me and my book, as compared to what you'll find on the "Old News" tab, which goes up to the end of November 2011, but you might find still worth reading. 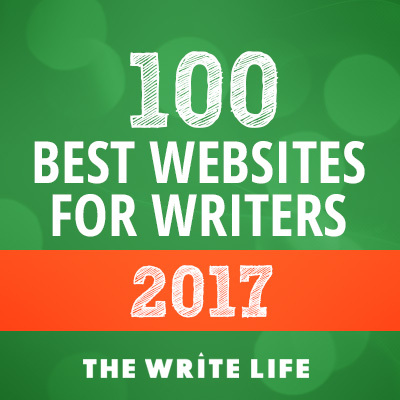 My website on creative writing and story theory, called How to Write a Book Now, has been named one of the 100 Best Websites for Writers for 2017 by Write Life. Since 2012, I have been teaching Creative Writing in the Continuing Education program at St. Lawrence College in Kingston, Ontario. "Dancing on the Inside," has won Honorable Mention in the 2013 IndieFab Awards. The term “indie books,” refers to all books not published by the big five publishers. The term includes university presses, privately owned presses, literary presses, and self-publishers. You can read more about this award on the IndieFab site. "Dancing on the Inside, an uplifting and insightful novel for tweens and teens. stories. Materials are included in registration fee. An elementary school teacher recently wrote about Dancing on the Inside on her blog. She sees the book as an inspiration for project based learning. I was interviewed by a reporter for the Kingston Whig Standard in May 2012. Here is the link to the article... Daughter Inspires Author. May 2, 2012. Today, I am most grateful to learn that Dancing on the Inside has received the Gold Medal in the juvenile fiction category in this year's Independent Publisher Book Awards (IPPYs). This is one of the largest award contests dedicated to the independent publishing industry and involves 2,000 authors competing in 75 categories. Dancing on the Inside is featured in the April 30, 2012 edition of Reader Views newsletter (along with other award winning books. March 7, 2012. I'm pleased to announce that Dancing on the Inside has just received a Reader Views Literary Award for 2011 in the Canada East regional category. In addition, in the Specialized Awards category of the same competition, it received the Donna Kakonge Award for the Best Canadian Regional Book. February 23, 2012. Today my book is being featured on Indie Spotlight, a blog that highlights independently published books. December 20, 2011 If you're into indie books, you likely have heard of The LL Book Review, which serves to introduce readers to new independent books. Blog Tour Stop at "Words by Webb"
"...I had doubts about a non-dancer’s ability to capture the mood of the ballet studio but I feel Strathy did admirably, both in the technical aspects and in the emotions of the dancers. "...this book will appeal to a wide range of readers: obviously dance lovers and those with social phobia but more importantly to any young girl having trouble finding her place in the world. And what young girl doesn’t? It’s an encouraging tale of combining your dreams and your reality to create your world." December 13, 2011. A 4/5 "P" review of Dancing on the Inside appears today on this blog, written by a "Librarian by Day, Book Reviewer by Night." According to the site, 4 "P"s means, "A great read that I guarantee everyone should give a go." Interview at "Morgen Bailey's Writing Blog"
Glen: I find first person best if you want the main character to speak directly to the reader. It’s handy if you have a main character who is difficult to sympathize with (for instance, if he’s not a nice person), because then he can make his case directly to the reader. Of course, he can also lie, misinterpret, or twist the facts as well, which a third person narrator cannot. Second person works best in epistolary novels, where the main character is writing the whole thing as a letter to another character. But to be honest, I prefer a limited third-person narrator, especially for children’s fiction. It lets you tell the story from the main character’s point of view without being too restrictive. Morgen: And I’ve often heard that children enjoy reading stories about other children a little older than themselves so third person would be better in that respect. Do you ever use prologues / epilogues? Glen: I’m not keen on prologues in children’s fiction because I think it’s important for younger readers to latch onto the main character’s viewpoint right away and prologues often concern events before the main character enters the story. That said, I cannot deny that it works sometimes. For example, the first chapter of the first Harry Potter book begins from the point of view of Harry’s Uncle Vernon. As for epilogues, I think readers need to know what life is like for the characters after the climax – whether things are better or worse. Whether you do so in an epilogue or simply the last chapter doesn’t really matter. December 9, 2011. Today, my article "How Writers Can Benefit From Participating in Community Theatre" appears in this entertainment-focussed blog. These days I think of myself as a writer. Commercial writing has been my main source of income for the past decade. I have co-authored two non-fiction books, one of which was a bestseller, and most recently I published a children's novel, Dancing on the Inside. However, there was a time in my life when my primary interest in life was the theater. I won't bore you with the reasons I did not become a world famous actor or director (and there are several good reasons for that). However, as a young man I performed in a lot of plays – in community theater, university theater, and professional non-union companies. I also directed a few plays and spent a brief time in theater school. Overall, I managed to do around seven productions a year over the course of roughly fifteen years. So that's over 100 shows under my belt. Looking back on that period, I have sometimes felt that I had made a huge detour in my life. Maybe I should have spent all those evenings and weekends writing instead of rehearsing and acting in shows. Maybe my writing career would be a lot further along by now and I'd have finished more some more books. December 8, 2011. This literary blog from Hawaii showcases mostly romance fiction, so I'm rather honoured that Kim interviewed me. Kim: Tell us about where you live in Canada - your favorite sight, smell, and sound. Glen: I live in a small city called Kingston, which is on the north shore of Lake Ontario - one of the 5 Great Lakes. It's a historic city, full of grey limestone buildings and boasting three historic forts, two universities, and (sadly) a penitentiary. My favorite smell would have to be the freshly roasted coffee beans at Cooke's Fine Foods. My favorite sight: the new university students in September dressed in outrageous outfits and body paint for what they ironically call "orientation." My favorite sound: the cannons at Fort Henry being fired on a summer evening at the end of the Kingston Symphony's performance of the 1812 Overture. Kim: You also wrote in your bio, "I believe the best thing about performing arts (and other arts too) is that they give people more freedom to be who they want to be." What do you want to be? Glen: It may sound trite to say it, but I'd like to be more my authentic self. A lot of us grow up being told "just be yourself and everything will be fine, people will like you, etc." But our experience tells us that's not always true. Often when we are ourselves, people don't react positively. Good relationships and success don't always come from honesty or doing what we feel like moment to moment. So many of us learn to create a false self that is socially acceptable and brings us closer to our goals. Unfortunately, living behind a false self is not very satisfying. It's like wearing the same shirt every day. After a while, it stinks. In the performing arts, you get to express a lot of different selves. For instance, if you're a musician you must express a wide range of emotions in your music. If you're an actor, you must portray many different characters. chance to switch shirts or wear a wider wardrobe. "The Children's and Teen's Book Connection"
I never really gave up my ambition to write fiction. It was just on hold for a long time. Then I had the idea for Dancing on the Inside and I felt I just had to write it. I didn’t set out to write children’s books. That’s just what this particular book happened to be. It’s hard to write fiction for any audience. Every genre has its challenges. Even picture books, which everyone thinks are easy because they’re short, are hard to write because they must be so concise while still telling a satisfying story. You have to be passionate about whatever you are writing, otherwise it’s just thankless work. There are still parts of Dancing on the Inside that I can’t read without being emotionally affected – even though I wrote the book and have gone over the words many, many times. But what’s even better is finding out that other people were moved by your words. Hearing a positive comment by a reader or finding out that you inspired someone is the best possible reward. Guest Appearance on "Literarily Speaking"
December 5, 2011. "A Day in the Life of A Middle-Grade Children's Author," is the title of my guest appearance on this literary blog. In this post, I talk about what my working day is currently like. Incidentally, this post also features a link to the Goodreads giveaway contest where you can win a FREE copy of my book, just in time for the Holidays. And of course, you'll find a lot of other information about books and authors.